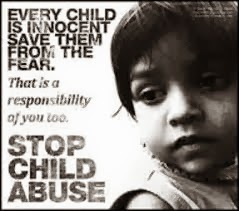 The Protection of Children from Sexual Offences (POCSO) Act, 2012 is a special law to protect children from sexual abuse and exploitation. The Act along with Rules has come into effect from 14th November, 2012. Since, the Act is still at an early stage of implementation, it is premature to establish any conclusion regarding the conviction rate. Section 28 of the POCSO Act, 2012 specifies that the State Government shall designate for each district, a Court of Session to be a Special Court to try the offences under the Act. The Section also states that if a Court of Session is already notified as a children’s court under the Commissions for Protection of Child Rights Act, 2005, then such court shall be deemed to be a Special Court to try offences under the POCSO Act, 2012. As per information available, eighteen States/UTs have designated Special Courts/Children’s Court to try offences under the Act. (i) As National Commission for Protection of Child Rights (NCPCR) and State Commissions for Protection of Child Rights (SCPCR) have been designated the role of monitoring authority under the Act, the Ministry has been following up with State Governments to expedite the process of formation of SCPCRs in their States. As a result SCPCRs have been set up in 26 States/UTs. (ii) In order to spread awareness on the provisions of the POCSO Act, 2012 five regional conferences were organized across the country covering all the States and UTs. The participants included officers from the Departments of Women and Child Developments, Social Justice, Health Education, Police academies, State Judicial academies, SCPCRs, State Legal Service Authority and office of Prosecution. (iii) Section 39 of the Act requires the State Government to prepare guidelines for use of NGOs, professionals and experts or persons to be associate with the pre-trial and trial stage to assist the child. On request from several State Governments, model guidelines have also been issued to all the State Governments/UT Administrations which can be adopted or adapted by them for better implementation of the said Act. This was stated by Smt. Krishna Tirath, Minister for Women and Child Development, in a written reply to the Lok Sabha.